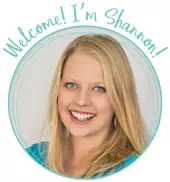 by Shannon Clark in Save Money | 14 comments | Contains affiliate links. You’ll have fun with the whole family when you build a home climbing wall! 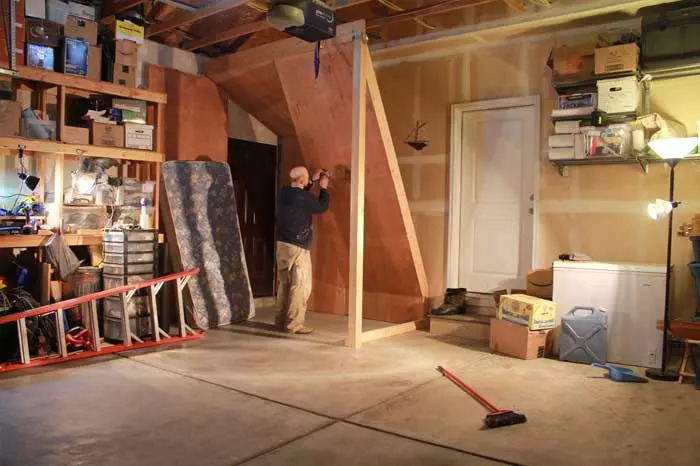 This free standing climbing wall tutorial will make the process easy. Includes cost-conscious project budget, material list, and step by step photos. The first year my husband and I were dating, he gave me climbing gear for my birthday: a harness, shoes, chalk bag, the whole deal. I guess he didn’t want to leave it to chance that I would join in the sport he loved. We’d hit the climbing gym after classes during college and after work as we started our careers. This all would usually be with me dragging my feet a little, but I always looked forward to the day we’d take our little blonde babies along for the fun. I just didn’t anticipate the challenge of fitting it in between naps, meals, baths, and bedtime! So, instead of taking our family to the climbing gym (though we do that sometimes too), my husband decided to bring the climbing wall to our family. This project was his baby, but I love that it was complete in one weekend for under $200! And it’s a great indoor workout for us and the kids, especially as I work on getting healthy and losing weight this year. For the rest of the post, I’ll hand the keyboard over to him, so he can tell you how to build a home climbing wall. Last fall I realized I was not using my climbing gym membership enough to justify the cost. I quit the gym without any real plan, just the hope that a Christmas bonus from work might fund a home climbing wall for me to train on and hopefully get some use by the rest of the family also. Sure enough, the work bonus and a bit of Christmas cash came through. I spent hours scouring the internet for tutorials and info on building a wall and laid out a few different options in the free 3D modeling program Sketchup. I’ve had building a climbing wall on my to-do list for a while but had never had the space available before. 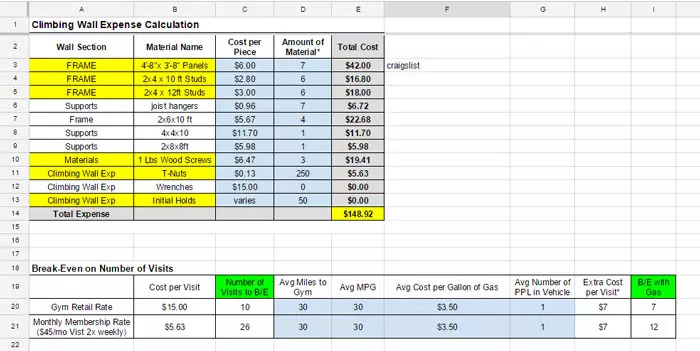 Shannon was interested in the idea…IF I could prove via spreadsheet exactly what the costs would be and also submit to her final approval of the design. Important: Build and climb at your own risk and take every precaution to keep your family safe. 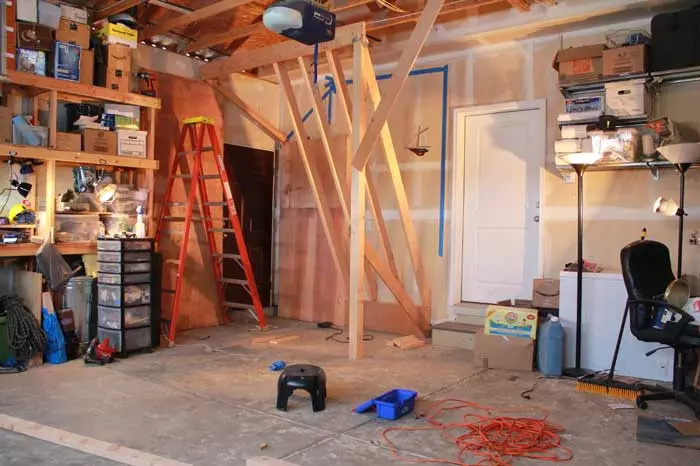 Design-wise the wall had to fit in the one available corner of the garage. It had to still allow a car to fit in front of it. Since we’re renting, it had to be free-standing. My research and experience at various climbing gyms suggested 20 to 30 degrees of incline would be the best for training, but I also wanted to leave some flat vertical walls the kids could use easily. The design came down to two finalists, both with roughly the same materials and enough merit for the Design Review Board (a.k.a. Shannon) to approve the budget and construction. I decided to commit to going through with it at this point and purchased the bulk of the materials. 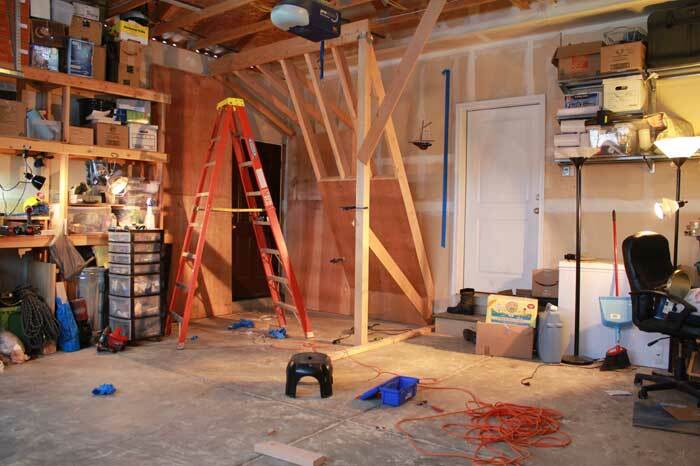 For me at least, a pile of lumber in the garage is motivating. I built a small scale model and then mocked up the exact size and angles using blue painters tape in the garage to work out the final design. The mockup gave me the best feel for how the pieces would fit together and ultimately how it would feel. To build a climbing wall, you will need the following tools. We’ll assume you already have these available, so they’re not included in the project budget. The materials and savings I found with locally-sourced products made all the difference in being able to afford the project. I found the plywood on Craigslist for $6 per sheet of ⅝” plywood. The catch is sheets were 3’-8” x 4’-8”. This is an odd size, but since I had researched materials first I could design around that module. You can see in the 3D image above, I laid out those odd-size sheets to try and use them as completely as possible. ¾” exterior grade (CDX) plywood is preferred for most home climbing walls but ⅝” is holding up great for us and is what happened to be available. I wouldn’t go down to ½” unless the wall is only completely vertical. You can get nicer sanded plywood but you’ll pay a large premium. The same person selling the plywood also had 2×4 “farm-grade” lumber which translates as Pretty Ugly Lumber. However, they let me pick through the pile to find what would work for me even in 14-degree weather. I got all of the 2×4 lumber I needed in lengths up to 12 feet for about 50% off what you’d pay at your local big box. I did purchase the 2x few brackets and screws at the hardware store but spent very little overall there. 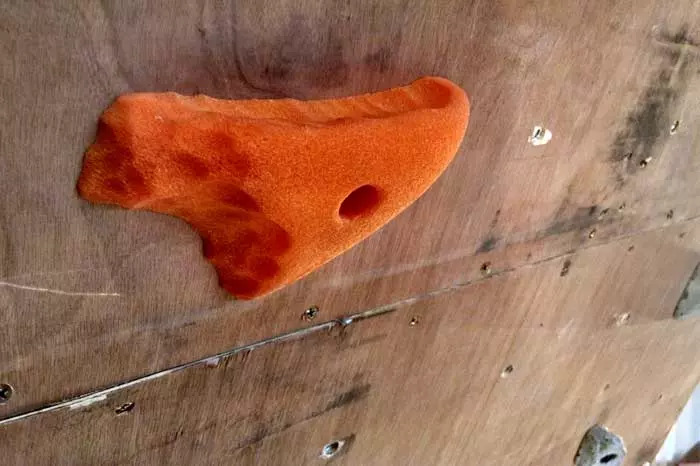 The last and best win came from finding a local manufacturer of climbing holds. I started looking at Amazon and found some holds I liked. When I searched the company name, it popped up on a map search with a local address. I called and spoke directly to the owner who asked what set of holds I wanted and told me to call back the next day to make sure they were ready to go. I followed up and planned to go pick them up that afternoon. Unfortunately, when I arrived the owner was out, but I was able to get him on the phone. I think he had told me that the first time, but it didn’t register so we picked up about $80 worth of holds and bolts for FREE! We’ve sense added this set and this one. The whole construction took a full Saturday and Sunday but was 100% complete in one weekend. Step 1: The longest task was drilling 300 holes for t-nuts in the plywood. The bolts for the holds screw into these t-nuts. The easiest spacing for these t-nuts is 8″ on center. You can do these in a square pattern, staggered rows or randomly spaced. I went with staggered rows. If you stick with standard 4ft x 8ft plywood, 8″ spacing for the holes and 16″ on center studs your holes should miss all the studs. I had a few hours of help from my awesome brother-in-law and super helper 3-year-old to get the holes drilled and t-nuts hammered into the back of the panels. Step 2: A climbing wall is built like any regular house wall with studs and plywood. 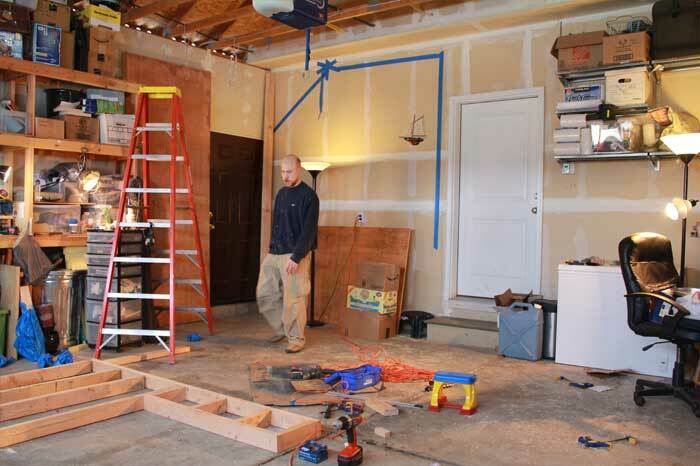 The stud frames for the flat walls were built on the garage floor. First, layout the studs to match the size of your panels with a single 2×4 top and bottom plate. Attach the plates to each stud with 2 screws or nails at top and bottom. 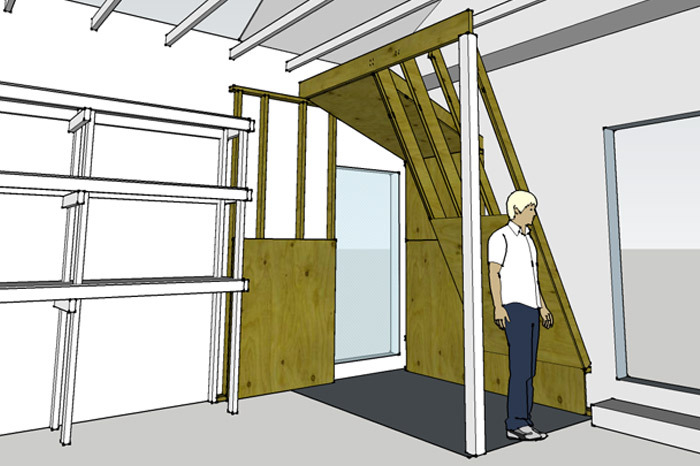 Attach the plywood to the front of the stud frames. The spacing of screws for attaching the plywood should be six inches on center on the edges and 12 inches on center on the studs at the interior of the panel. 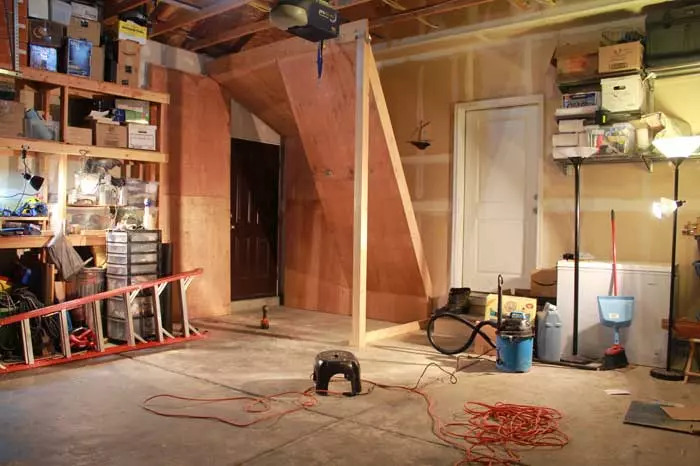 Step 5: Next, the 4×4 post was braced with wood screwed to the garage rafters temporarily, and the 2×8 top beam set in place with brackets attached to the 4×4 post and the top of the vertical wall at the left side. 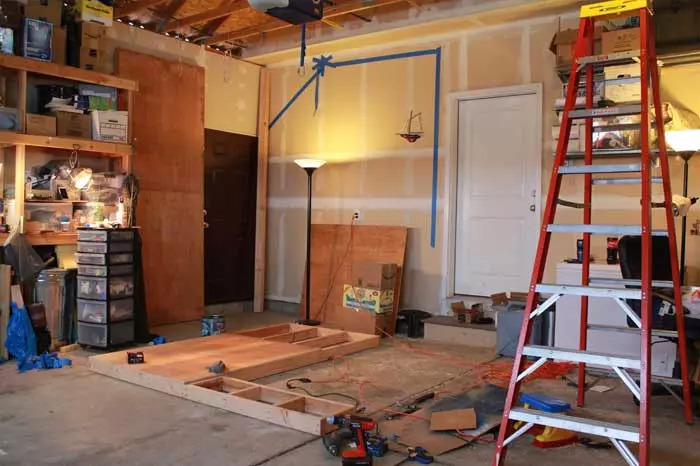 Step 6: Next, the 2×6 studs for the angled wall were cut at each end to match up with the angle for the short walls at the bottom and the beam at the top. These were then set in place and fastened with screws and the joist hanger brackets. The same process was repeated for the steep panel above the door. 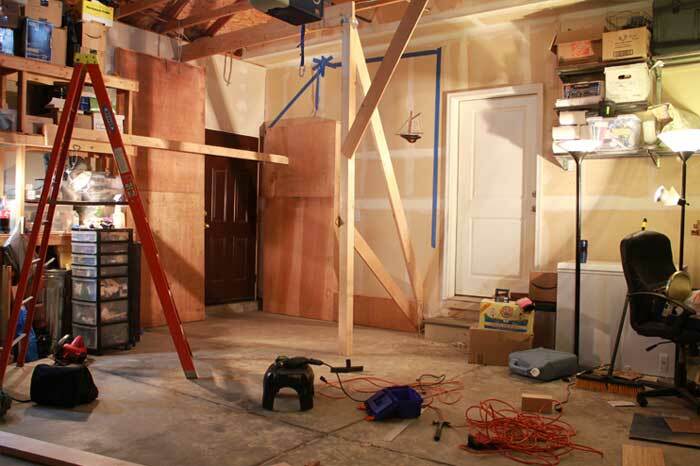 Step 7: The plywood for the angled walls was clamped to the 2×6 frame and screwed in place with the same screw pattern as the vertical walls. Step 8: Finally the holds were put in place. If you’re not sure where to start with the design of your own wall try checking out your local climbing gyms to see what would be fun. Most larger YMCA’s or other community recreation centers will have one these days. Talk to the staff and other members. Ask what they like to train on and what brands of holds are used locally. Metolius Climbing also has an excellent guide for how to build a home bouldering wall. This tutorial from Instructables was also helpful in designing a freestanding indoor rock climbing wall. Kids absolutely need someone spotting them to make sure they get up and down safely. Adults should use a spotter also, especially for that epic roof dyno you just set to impress your buddies. The wall turned out better than I expected. It’s rock solid and it gets me the workout I need. I can set routes easy enough for the kids or hard enough for me to fall off trying them. A couple free craigslist mattresses provide important crash pad protection from the garage concrete. A nice sewn cover would improve the look of the crash pads but the lack thereof doesn’t keep us from enjoying the wall. For best results, measure twice, cut once, and don’t forget to consult your wife, and your spreadsheet! Tell us about the home climbing wall you’re planning. Share your story in the comments! Awesome! We are planning on doing a climbing wall too. Your hubby did a great job!!! 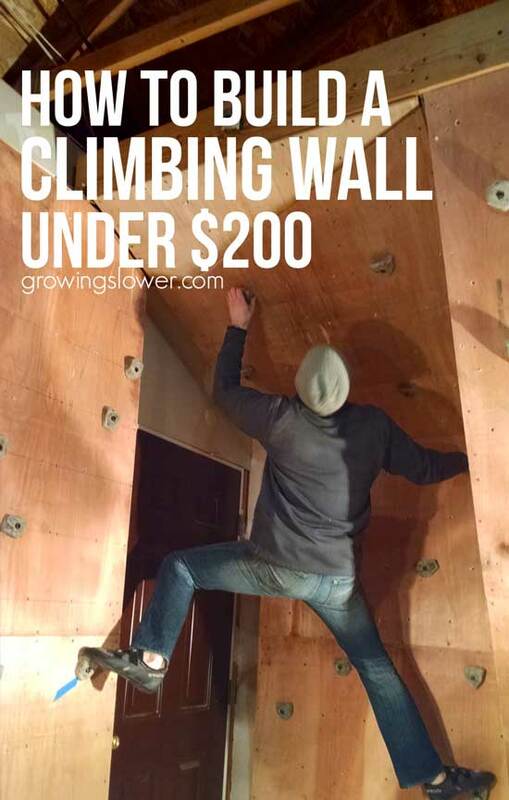 Does make it a bit easier to build the wall for under $200 when you get the holds for free ;) Unfortunately that’s not an option for most of us, but glad you were able to make it work! What a great project. I’m a big believer in developing home gym facilities. Gives you the power and freedom to stay fit on your own terms. Quick question on installing the holds. Are they just bolted into the studs? Is there any pattern or spacing that should be noted? Thanks for sharing this definitely looks doable for us which is really exciting! That’s so awesome! Hope you have fun with the project. The holds bolt through the plywood into the T-nuts. You pre-drill the holes in the plywood at 8″ on center and hammer the t-nuts into the backside of the plywood. Make sure you offset your holes so they miss the studs. Even though I do not have to construct a free standing wall, I really enjoyed the step by step description! I am in the drilling phase, could you let me know what the diameter of the drill holes? I wanted to love this tutorial – but so disappointing to find it was not remotely reproducible. The climbing holds that most of us can’t get for free and will double the price, as well as the lumber you were so lucky to find when most of us can’t. It makes the whole thing very misleading. 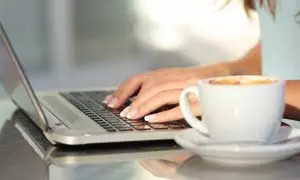 I have found that in all our money saving endeavors, it takes some extra research and creativity on our part, but we are almost always able to find what we need (or want) much cheaper than buying from a conventional store or at full-price. Does it take a bit of extra work? Yes. But we have been able to pay off all our debt, build an emergency fund, and start saving for a house. And we don’t do without the fun things that we’d like for our family. 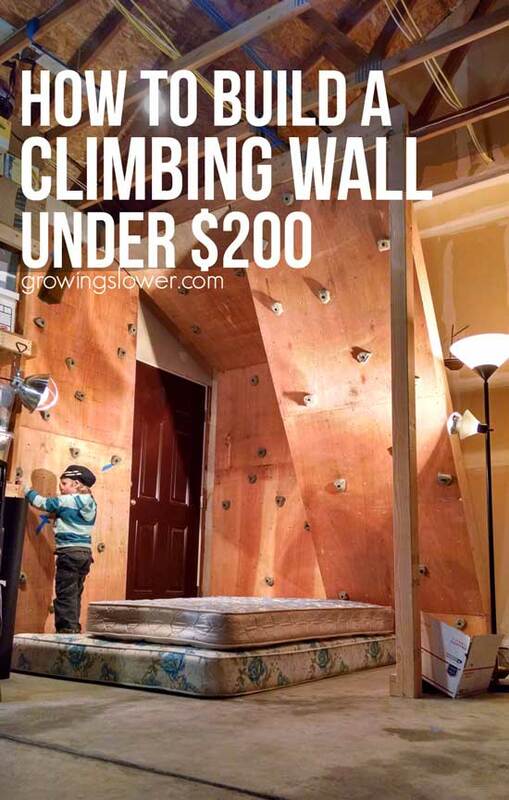 I would also point out that the wall can be built for under $200 even if you have to buy the holds. As you can see, we actually did ours for much less since we were blessed to get them free. Kids like to climb. My kids also have this habit. All-time they are busy to climb on sofa and bed. I am little worried about this habit. But I want to take advantage of this habit to keep my kids busy at home. That why I want to build rock climbing wall for my kids at home.Thanks for sharing building process of the indoor rock climbing wall. Do you have any suggestions as to how to map out where to place the holds? Building one for teens who are just beginning and we are struggling to find a resource of where to PLACE the holds! We don’t want to have to move them. If you don’t want to move the holds then definitely take some time to figure out some routes you think they will enjoy for a long time. Typically you would place a large starting hold below waist height such that you can sit on the floor with feet on smaller foot holds near the floor. Then you would choose a direction, up, sideways etc. for the next hold. (approximately an arm’s length) Then place a couple foot holds where you might step up. Then repeat until you reach the top of the wall where you should place a large finishing hold. Ideally, you would create some pattern that is challenging but not impossible. It should be harder than climbing a ladder. The term is “Bouldering Problem” It should take some effort to figure out the body positioning and balance. If you’ve used the T-nuts and bolt version of holds then moving them is pretty simple. We move ours to change up the routes anywhere from every couple weeks to every couple months depending on how much we use the wall.